After four years of signature Air Jordan models named annually, next years Air Jordan will be returning to its original roots. The twenty-eighth signature Air Jordan shoe will be released in 2013. After the XX3, all models has been named after the year they released. Next year, they will be returning to the numbered system. 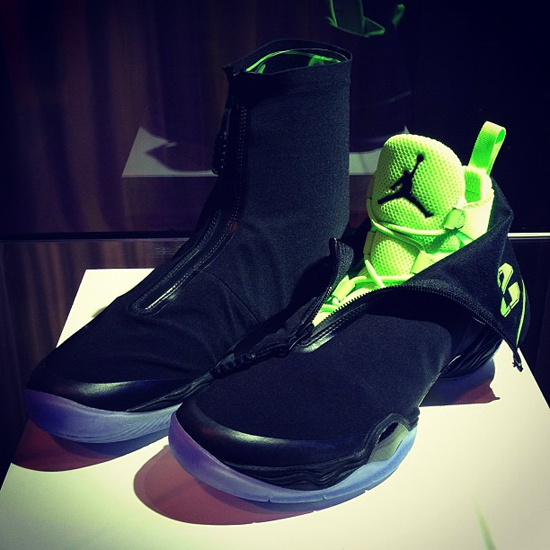 So don't expect to see an Air Jordan 2013 but, expect to see an Air Jordan XX8. As we speak, Jordan Brand is holding a press conference where they are announcing next years game shoe. Expect more details, information and images to pop up during the next few days. Stick with ajordanxi.com for more information on the Jordan XX8 as it becomes available. For now, i'll just leave you with this first look to hold you over. The Air Jordan XX8 is set to debut in on February 15th, in Houston, Texas only and then as a general release on February 16th, 2013. Retail for the Air Jordan XX8 is, $250.